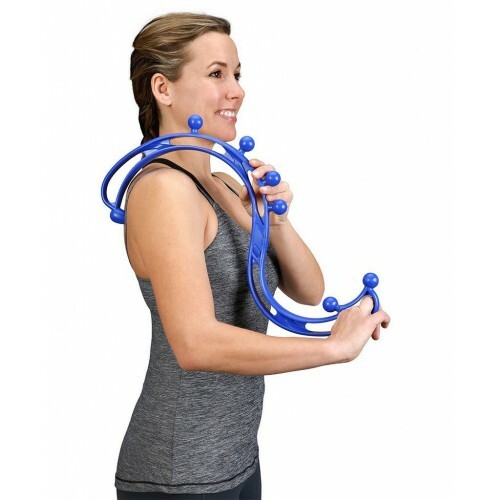 BackJoy's Trigger Point Relief Self Massager is an ergonomically-designed self using massage therapy device that's able to relieve pain through direct pressure along several parts of the body. 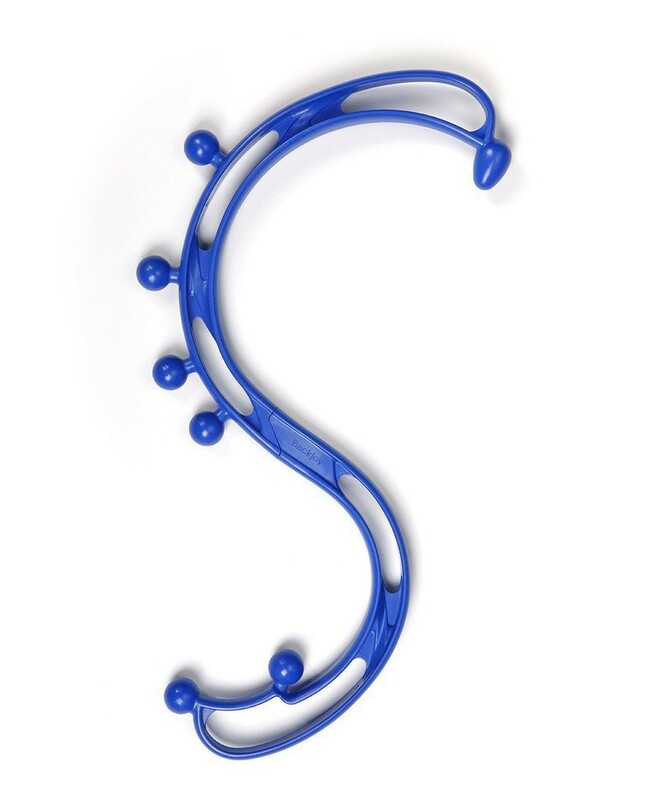 Multi-purpose handles give the user full control of navigating the massager from one body part to another. Therapy knobs provide deep trigger point release on the pressure points that need a little more attention. The center of the massager also has a pair of knobs; perfect for massaging along the spine on the center point of the back where it's often needed most. One end of the massager has a specialty-pointed therapy knob that goes deep into the muscle, aiding in trigger point release in order to help relax any tightness in the area. Each knob within Trigger Point is rounded to simulate the thumbs of a massage therapist to maximize the personal touch. 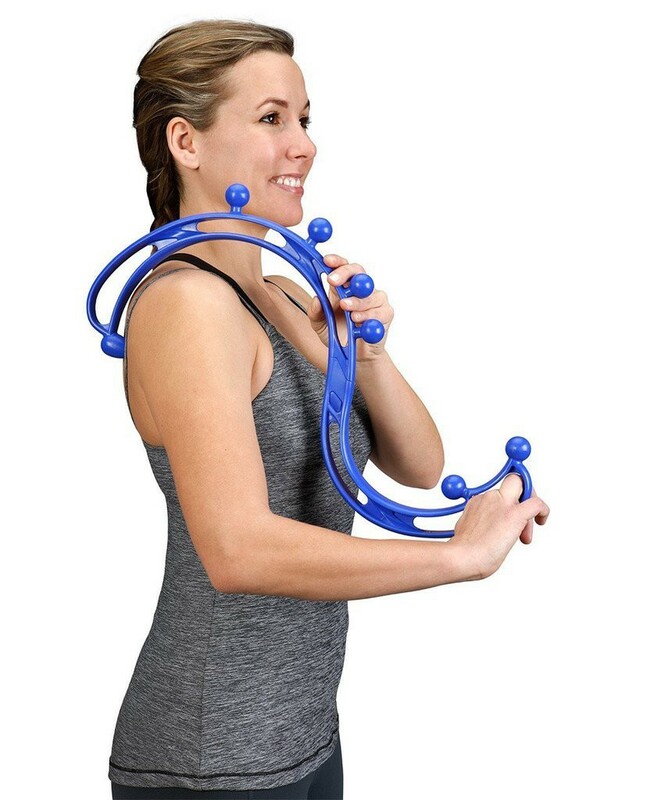 The massager is flexible enough to use and position almost anywhere on the body including the back, neck, shoulders, arms, legs, hips and even the feet. It's just as easy to carry and store away as well. Weighing only 1.5 pounds, the Trigger Point is the perfect companion to take with you anywhere. For easy stow-away or to quickly pack away for travel, the massager is able to collapse into two pieces. Push the two parts of the massager together until you hear a "click." Hold the massager by the handles or the frame so the therapy knob touches the affected area. Hold for intervals measuring between 10-30 seconds, then release. Repeat the motion until you feel muscles tension start to release.